Tucked away in bustling Belgravia, 47 Boscobel Place is an elegantly designed property featuring hand-crafted interiors and a delightful hidden winter garden. 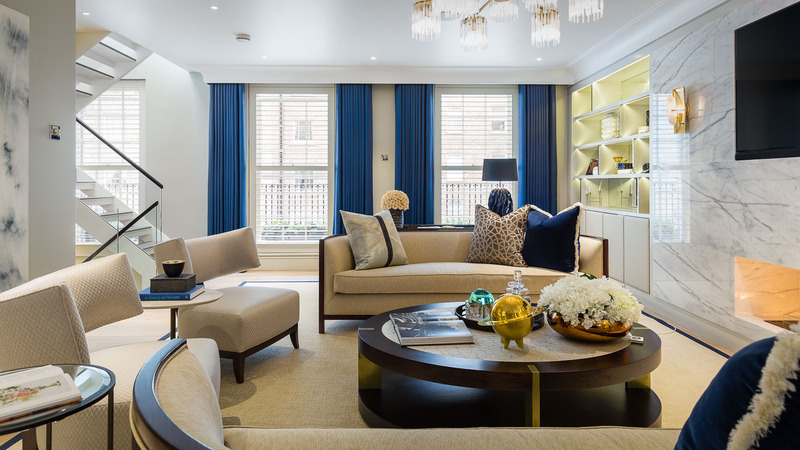 Stylishly designed by Kapital Estates, 47 Boscobel Place is a recently finished residential property, discreetly tucked away on one of Belgravia’s only tree-lined mews. Set behind the original façade, 47 Boscobel Place features exquisite, hand-crafted interiors and a spectacular winter garden, which has been designed as a tranquil ‘outdoor’ space that is protected from the elements. Spread over four floors, the property has been meticulously designed throughout. The lower ground floor features two sophisticated bedrooms, designed as “his” and “hers” spaces; both have adjoining en-suite bathrooms. One bedroom has been finished in a cool light blue, while the other features a warm, neutral colour palette. The heart of 47 Boscobel Place lies on the ground floor, where there is a large, contemporary kitchen/dining room. 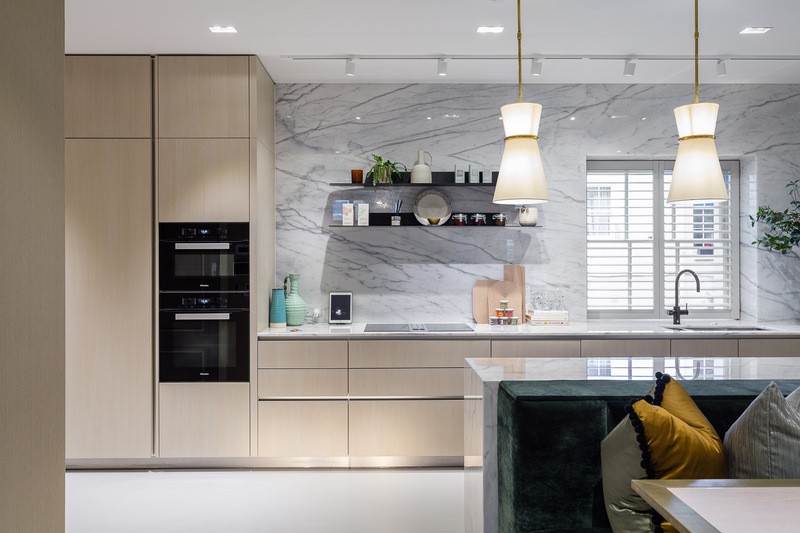 The space has been fitted with white pearl marble worktops and Portland stone slabs that provide under-heating; the dining area is particularly lavish, with a green velvet banquette offering intimate seating for up to twelve guests. The first floor has been designed with more formal entertaining in mind - it features a 27ft reception room with cool, calm colour palette. Rich fabrics contrast the soft colour palette; statement lighting and solid oak flooring have been used throughout the space, and complement the floor’s striking pearl marble fireplace. The first floor also includes a guest bathroom, and a private study subtly hidden behind sliding double doors. Upstairs, the entire second floor is occupied by the master bedroom suite, a large adjoining dressing room and an en-suite bathroom. 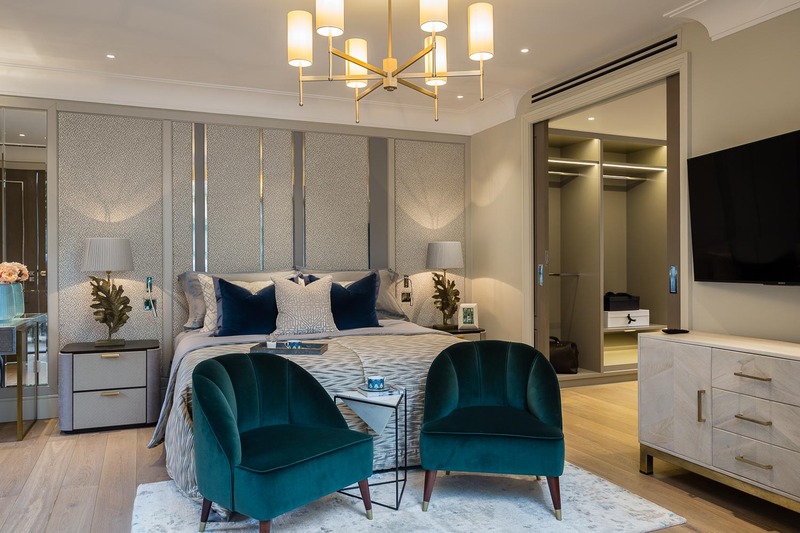 The master bedroom’s design is light and airy, featuring pops of colour throughout such as brushed brass detailing and velvet cocktail chairs. All three bedrooms in the property have been finished with silk wallpapers, silk-laced carpets, leather-wrapped drawers and bespoke joinery. The master bedroom also has one other, spectacular feature - its own private winter garden. The garden is accessible from both the bedroom and en-suite bathroom, allowing residents bathe in open-air on warm summer evenings, or enjoy a protected outdoor space during the cooler winter months. 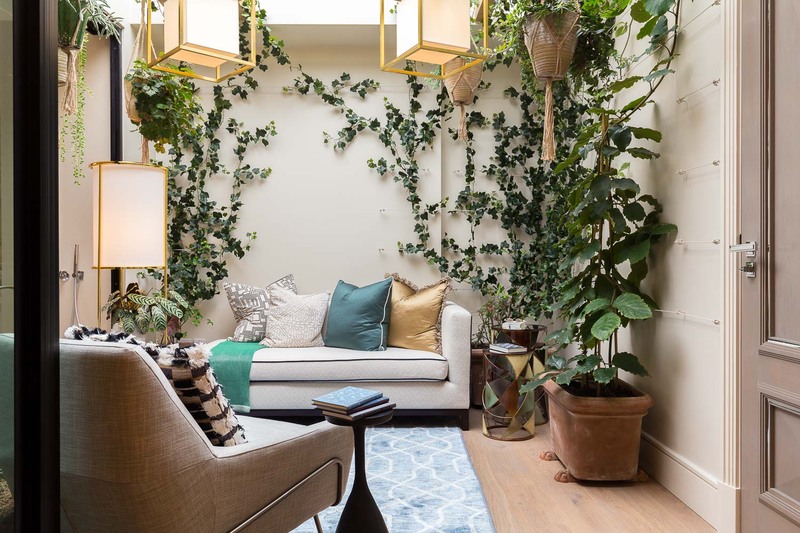 Despite being in the middle of bustling Belgravia, the winter garden offers total privacy, and is spotted with pendant lighting, hanging plants and climbing blinds.